Many companies choose to carry out their own in-house PAT Testing as it could result in cost savings, however the initial outlay of purchasing a PAT Tester, PAT Software and training up personnel can be expensive, which is why its important you make the right choices when choosing the most suitable solution for the job. Worldwide, SimplyPats is the preferred PAT Testing software solution for many Schools, Collages, Universities, NHS Trusts, Government Departments, Utility Companies as well as many well known Blue Chip and Household Name companies. Below you will find a list of features that a company choosing to carrying out in-house PAT Testing may look for when looking at PAT Testing software, however this is by no means a full list of features found in SimplyPats. Whether you are carrying out your own in-house PAT Testing or you are a contractor, you will find that SimplyPats is the ideal solution for managing and keeping on top of your PAT Testing. 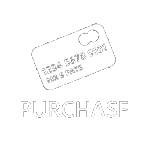 You may be pleasantly surprised at how easy SimplyPats is to setup and use given the number of PAT Testers supported and feature set included, why not download the demo and find out for yourself. Free support via Telephone, email, our PAT Testing Forum or Live Chat via our website. Remote Assistance can also be used if needed. Thousands of companies worldwide use SimplyPats and have continued to do so over the past 10 years. They recognised that the solution as a whole offers unbeatable value, unparalleled support, greater freedom where type of PAT Tester is concerned and most importantly greatly improved productivity were all core requirements when making that initial investment. Many companies looking to update their current solution have migrated over to using SimplyPats and have found that with our help their existing database can sometimes be converted for use with SimplyPats, making the whole process seamless. PAT Testing Software for In-house testing.